Over the span of their lives almost everyone will be affected by unemployment. While some are lucky enough to have never gone through unemployment, most of us have. We have to keep an open mind and be prepared in case it ever happens to us. Most people keep their networks up to date and are always open to new opportunities. With the help of a LinkedIn profile they remain relevant and accessible by communicating with the type of employers they are willing to work for next. The reason people chose this path is because they are wise enough to understand that whether we are unemployed or not, we’re always in a continuous job search. Your LinkedIn profile should always be filled with relevant content such as key words and phrases. This way, you will attract the attention of recruiters from companies you have connected with in the past. Your LinkedIn profile is not the only thing that should be kept in check at all times. Other social media should be constantly updated as well as your resume. Everything should be updated and ready in case the worst should happen. You have not done all these things and now you find yourself unemployed and not sure where to start. Here are some tips that will help you catch up. First thing you should do is to start setting up a LinkedIn account and update your social media. Your resume should be brought up to date and thoroughly looked over so that it is ready for the quest ahead. A job that fits you best may take some time to find. 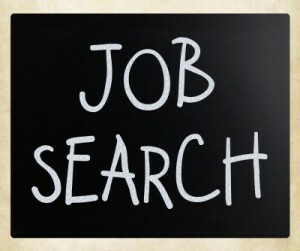 Some good months may pass until you finally find that one job that you were looking for. You need to remain relevant in the meanwhile whether or not the activity you chose provides any income. These activities will help fill in the gaps in your LinkedIn profile and resume, while at the same time heling you meet people and make connections. Gaps that are a yearlong or more may cause problems further down the line. The activities you find should still be relevant to your personal brand and be oriented towards the job and career you are trying to get. Showing that you have done this work to further improve yourself will provide a very valuable asset to your future employer. Here are some suggestions: secure temp work, short-term interim work, volunteer work, polishing and upgrading skills that are relevant. Single moms can find themselves going through periods of unemployment. The best solution to better deal with things is to be prepared before it happens.